Today is the Feast of St. Francis de Sales, a patron of the Archdiocese of Cincinnati and one of the greatest spiritual writers in the history of the Church. His most popular writing is his Introduction to the Devout Life which was written for the lay members of the Church to grow in holiness and to devote their entire lives for the love and at the service of God, our creator. I have been thinking quite a bit about the term, “vocation”. As Luke Burgis and Dr. Joshua Miller, PhD point out in their book, Unrepeatable, we are each called, particularly, in our own way, for a definite purpose. This purpose is not given to any other person ever created. It is the very reason for our existence. God creates us out of love because he wants to share His love to the world through us! Therefore, in living out our lives, it is important for us determine our definite purpose and courageously express God’s love in a way that only we can! When God created the world He commanded each tree to bear fruit after its kind;and even so He bids Christians,–the living trees of His Church,–to bring forth fruits of devotion, each one according to his kind and vocation. A different exercise of devotion is required of each–the noble, the artisan, the servant, the prince, the maiden and the wife; and furthermore such practice must be modified according to the strength, the calling, and the duties of each individual. I ask you, my child, would it be fitting that a Bishop should seek to lead the solitary life of a Carthusian? And if the father of a family were as regardless in making provision for the future as a Capucin, if the artisan spent the day in church like a Religious, if the Religious involved himself in all manner of business on his neighbour’s behalf as a Bishop is called upon to do, would not such a devotion be ridiculous, ill-regulated, and intolerable? Nevertheless such a mistake is often made, and the world, which cannot or will not discriminate between real devotion and the indiscretion of those who fancy themselves devout, grumbles and finds fault with devotion, which is really nowise concerned in these errors. No indeed, my child, the devotion which is true hinders nothing, but on the contrary it perfects everything; and that which runs counter to the rightful vocation of any one is, you may be sure, a spurious devotion. So we see, as St. Francis puts it, even our devotion to God is going to be different for each individual, and yet, it is through our individual devotion that we come to express the very love of God in this world today. Through prayer and undivided devotion to God above all, we can come to understand our very being and the mission for which we have been created. Many of us will live out that mission as lay men and women, but for others, their missions will lead them to serve the world as priests and consecrated religious. Do we have the courage to become the person God has created us to be? Are we truly devoted to the Lord and his will for your life? On this, the Feast of St. Francis de Sales, let us take more time to truly explore our devotion to God and to learn from one of the great spiritual masters of our Church. The Andrew Dinner at St. Luke’s in Beavercreek for Thursday, October 25, 2018 has been cancelled. If you want to speak with Fr. Dan about discernment, please call him at 513-421-3131 ext 2890. This morning’s Gospel gives us the first step, the realization that “many are invited, but few are chosen.” And not even all who are chosen, will respond. The good news is that if you are here, you have been invited, you have been prompted by the Lord to come here and discern His will. What this will ultimately mean, none of us can know for sure – at least not yet. Today is the feast of St. Alphonsus Liguori, the patron saint of those discerning the call to the priesthood. Born in 1696, as a young man, Alphonsus wanted nothing more than to please his father and to do whatever his father asked of him. That meant that instead of going to school he was privately tutored at home and received a doctor of law at the young age of 16 while also maintaining a good life of prayer and devotion to God. Soon, however, he started having success in the courtroom and he followed the life that his success offered. He began to neglect his relationship with God but still made his father proud by never losing a case in the first 8 years of his career. However, the ways of the world lost all their luster when he emphatically lost a case for the first time. He spent three straight days without food and, in a moment of clarity and grace, decided never to practice law again. Instead he returned to his life of prayer and service and it was in the midst of this service that Alphonsus heard God ask him to serve as His priest. Immediately, Alphonsus promised the Lord that he would be a priest, even though he knew it would displease his father. Three years later, at the age of 30, Alphonsus was ordained a priest and missionary and later founded the Redemptorist order. 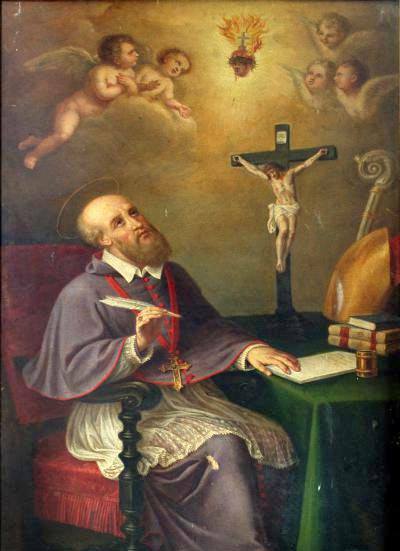 While a priest, Alphonsus became a prolific writer and a sought after missionary preacher. He traveled many miles and preached to whomever needed to hear the word of God. Undoubtedly, this talented lawyer had truly found the path God had planned for him in his life! While many of his writings and sermons are very well known (his Stations of the Cross among the most popular), one of the most important works of his for those discerning the priesthood is his writings “On the Dignity and Duties of the Priest.” While the work is lengthy, we provide here the 12 maxims he gave himself while in formation for the priesthood. We hope that they can be of some guidance to you as you continue in your discernment. Recognize in these statements the importance St. Alphonsus placed on each of these items. While not all of these will make sense in your own daily life, given your current state in life, we encourage you, nonetheless, to take some time to reflect on the importance you place on these. Perhaps they will help you see an area in your spiritual life that might need strengthening. 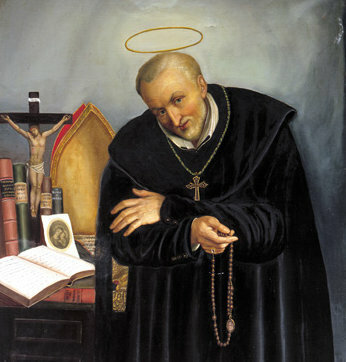 St. Alphonsus Liguori, patron of discerners, pray for us! 1. The cleric should frequent the society of holy priests, to be edified by their example. 2. He should spend at least one hour daily in mental prayer, that he may live in fervor and recollection. 3. He should visit the Blessed Sacrament frequently, especially during the time of exposition. 4. He should read the lives of holy priests, that he may imitate their virtues. 5. He must cultivate a special devotion to the Virgin, the Mother and Queen of the clergy, and consecrate himself particularly to her service. 6. For the honor of the ecclesiastical state he must be most careful of his reputation. 7. He should flee from worldly conversation, and not be too familiar with the laity, especially women. 8. Seeing God in his Superiors, he must obey them, because such is the divine will. 9. He should be modest, but without affectation, severity, or fastidiousness; and he should always wear the cassock and tonsure. 10. He should be quiet and gentle at home, exemplary in class, and edifying in church, especially during the public offices. 11. He should confess every eight days, and communicate still oftener. 12. He should live free from sin, and practise every virtue. Shortly after becoming the Ordinary for the Archdiocese of Cincinnati, Archbishop Schnurr recorded a beautiful rosary for vocations that was produced by the good people at Sacred Heart Radio. While it has since been played daily on our local Catholic radio station, at that time we also had some CDs made of the recording. While we still have a few left that can be ordered online, we wanted to make them available for download as well! On June 14th, many of our seminarians will be gathering at St. John Neumann in Cincinnati for a relaxing night of prayer, pizza and fun. Along with Fr. Schmitmeyer, Fr. Kyle Schnippel, recent contestant in the Great American Baking Show, will host the evening and we invite all young men 18 and older who are considering a call to the priesthood to join them for the evening. It all starts at 6:00 with evening prayer; dinner and social time follow. This is a great opportunity for those just beginning their discernment journey to meet and talk with men who are currently seeking this call to the priesthood. In a relaxed atmosphere like this, you can really get to know these men and have the chance to ask questions you may not get to ask in a structured retreat. To RSVP for this event, just click on this link and fill out the online form. We look forward to seeing you there! I would like to pray for the gifts of counsel, courage, and fortitude. If you missed the other days of the novena, please click here.